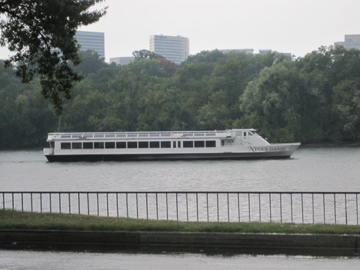 Nina's Dandy is a restaurant cruise ship based in Alexandria, Va., that offers dining "in the tradition of the restaurant riverboats which ply the Seine through the heart of Paris." The ship can handle up to 200 persons. Lunch and dinner cruises depart daily from the dock on Prince Street in Old Town.